The Detroit Lions come to MT&T Bank Stadium in week 13 for a Sunday matchup with the Baltimore Ravens. Detroit is coming off the long week, having last played on Thanksgiving when they lost at home to the red-hot Vikings, 30-23. The loss dropped them to 6-5 and they need to get rolling to make a postseason run. They come into Baltimore to face a Ravens team that is coming off a 23-16 win over the Texans on Monday Night Football. They are back over .500 at 6-5 and have come off the bye-week with two straight wins. Who can come out ahead in this pivotal matchup of 6-5 teams? The Lions perhaps faltered at home on Thanksgiving, but a lot of teams aren't doing that well lately against Minnesota, so they still have a lot to be proud of and a lot to play for. A recent 3-game win streak helped them right the ship and one should expect the Lions to react accordingly to the urgency this week. After falling behind 20-3 to the Vikings on Thursday, they battled back into the game at 27-23, but couldn't mount a late rally against a tough Minnesota defense. Detroit QB Matthew Stafford was injured and hobbling around, but still managed 250 yards and 2 touchdowns, but they never could quite overcome a fast Vikings start. They hope for better this week. Detroit's offense has been seeing a nice surge lately. Even in defeat, the Lions were only the second team in Minnesota's last 9 games to top 17 points. Stafford connected well with Marvin Jones, who became the first receiver to top 100 yards against the Vikes this season, as he also caught both of Stafford's TD passes. A quieter Golden Tate has given way to more from Kenny Golladay, as the rookie wide receiver is becoming a bigger player in this offense. And while they don't always fire, Ameer Abdullah, Theo Reddick and others have added some ground-production from time-to-time this season. Their 26.7 points a game actually puts them up among the best offenses in the league. All in all, the Detroit defense is squarely below-average across most categories where stoutness in concerned. They can be exploited on the ground and through the air and we saw that in evidence on Thursday against Minnesota. But they do some things well. They have a plus-five in turnover ratio. They can make big plays and have scored five times this season. More from guys like Ziggy Ansah would help. And while Glover Quin, Tavon Wilson, and Darius Slay have made plays, they could cover a little better in the secondary at times. And with Wilson on IR after getting hurt on Thanksgiving, that creates more questions. With better health and youngsters becoming more consistent, this defense could eventually come around, but heading into week 13, they have been a weak-spot of the team. It has been an up-and-down season for the Ravens. A 2-0 start offered promise, but four losses in their next five games sent them sprawling. And some of those losses were lopsided. But along the way, they have had some impressive moments, as well. They have three shutout wins on the season and when on, their defense can control games. We saw that on Monday. With an offense that has struggled to deliver, the defense was able to curtail the Houston offense, stifle them in the red-zone with some timely stops, while securing three turnovers. They look to apply that formula again at home on the short week against Detroit. On offense, the Ravens struggle. Even in winning on MNF with 23 points, they had less than 300 yards of total offense and were held to 3-for-14 on third down conversions. They had no turnovers and the line was adept in keeping Joe Flacco out of harm's way, so it was really just another case of Baltimore not being able to turn it loose on offense. Flacco hasn't had his best year and the 141 yards he had passing on Monday was typical of the lack of production they get through the air. Mike Wallace leads all receivers with just 371 yards passing, as Baltimore enters this week as the league's lowest-ranked passing offense. Alex Collins and Javorius Allen both rushed for touchdowns, but only had 75 total yards rushing. But they are a team that can still forge victory when the offense isn't really cooperating. The Baltimore defense is what will get them places this season if it's in the cards. A lot of credit goes to the secondary, which has been one of the best in the league this season with Brandon Carr and Jimmy Smith at the corner and Eric Weddle and Tony Jefferson at the safety spots. Against Houston on MNF, Jefferson and reserve corner Anthony Levine, Sr. both had picks. Terrell Suggs can still get after quarterbacks and had 2 sacks in his last game. In giving up only 17 points a game on average, they rank second in the league, quite a feat considering how little support they often get from the other side of the ball. One should expect a solid effort this week from both teams. A 7-5 record is a lot better than 6-6, as these teams enter the final quarter of the season. These teams should play accordingly with a lot riding on this game. I see Detroit as being a more-complete team, though they certainly have their own drawbacks. I just see them as being a more-bankable proposition heading into this matchup. Baltimore has done well to get to this point, but it's hard to not notice how none of the teams they've beaten were very good. I see the points maybe coming in handy for Detroit. I'm taking the Lions. Loot's Prediction to Cover the Point Spread: I'm betting on the Detroit Lions plus 3 points. Tired of your credit card not working for sportsbook deposit? End that problem today and bet the Lions vs. Ravens game from the comfort of home by signing up at Bovada Sportsbook where your credit card WILL work and where you'll receive a generous 50% sign-up bonus! 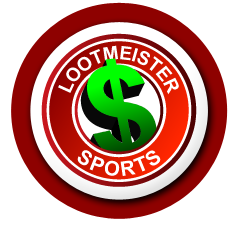 Reduced Juice - Loot explains how reduced odds football betting works and where you can find this valuable asset. What is a Point Spread? - Many new to the game struggle to understand why one side has a (+) while the other has a (-) in front of a team. We explain what the spread is and how it works. Football Bets - All the different types of wagers that you can make when betting on football games. What Professional Handicappers Do - Learn the tricks of the trade and increase your odds of beating the books! Key Numbers - The article that bookies don't want you to read! NFL Betting Quiz - Test your football wagering prowess with Loot's 10 question quiz! Super Bowl 52 Predictions - Loot gives his preseason picks for which teams are most likely to win "the big game" along with middle of the road and a longshot that is sure to surprise you! 2017 NFL Season Wins Predictions - Loot breaks down every team and gives his opinion on how they'll do vs. the number! 2017 NFL Bye Weeks - The first set start in Week 5 and the final byes take place in Week 11. Loot also gives tips on betting on teams coming off byes. 2017 NFL Coaching Changes - We seem to be in an era where football coaches become disposable in an instant if they don't win. 2016 was no different as a handful of teams made the switch. Check out who went where right here! Famous Football Players - Biographies of the best and greatest NFL football players of all-time. Greatest NFL Players of All Time - A list of all time greats at each position. Each position has it's own dedicated article! Best Quarterbacks of All Time - Joe Montana heads our list of top 10 QB's, however, Tom Brady is a sure bet to give him a run for his money by the time his career is said and done. Best Running Backs of All Time - We list the top 10 greatest ball carriers of all-time. The order may be debatable, as Jim Brown, Barry Sanders and Walter Payton all brought something special to the gridiron. Football Lingo - One must be very familiar with all of the terms, slang and jargon associated with this game to win at football betting. Find a slew of pigskin terminology right here! Football Quotes - Funny and memorable sayings from around the National Football League including comments made by Vince Lombardi and John Madden.